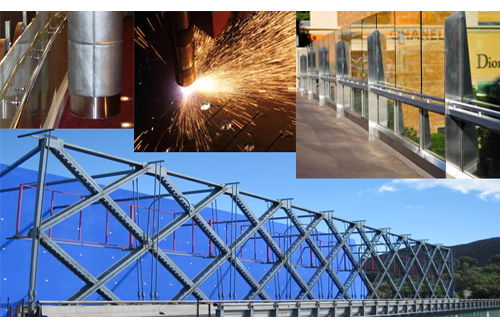 From manufacturing to fabrication, engineering and construction, we at Alternative Munufacturing & Design take pride in providing customers with high quality products and services. Having more than 30 years of experience in the metal industry, our team of engineers and fabricators are experts to cultivate their knowledge and experience to understand your concept and make it a reality. We house specific machinery and technology needed to accomplish any kind of metal job providing you with the best quality products. Here are some of our major clients and industry specific services listed. 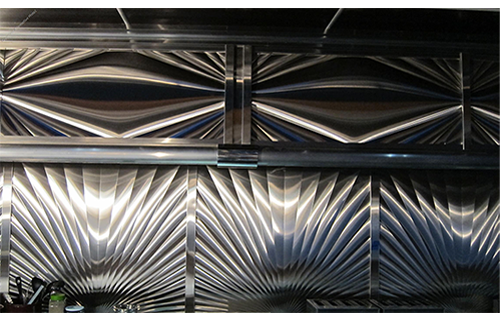 We specialize in manufacturing sheet metal, precision machining, welding, and assembling. With our high end capabilities, we produce complex metal components for various industries from commercial to entertainment, agriculture, and medical. We employ best practices in all our manufacturing processes; from project requirement, engineering and design to production, we adhere to strict quality control standards in our services. Our quality management system is also registered to the ISO9001 standard. 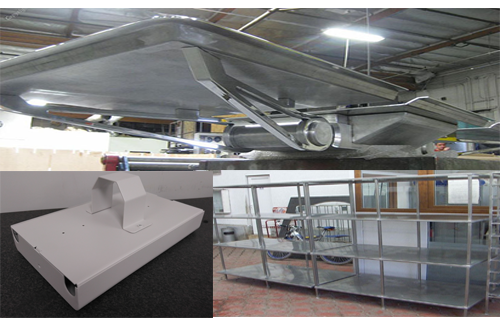 We take pride in delivering high quality custom fabrication projects under strict timelines. We bring our decades of industry experience to provide you with alternative solutions that enhance the look and feel of the finished products. We employ common fabrication processes including forming, cutting, welding, grinding, milling, lathing, and bending for fabricating your components. Through conceptualizing, detailed designing and engineering, we provide you the best industry specific sheet metal services. 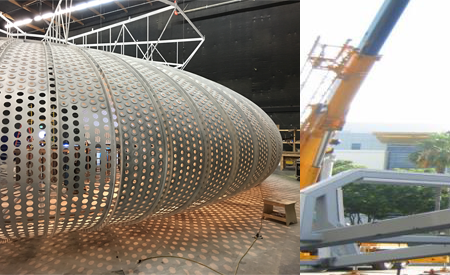 With our unique creativity, quick turn around capability, and fabrication expertise, we work extensively with the film and television industry, providing customized fabrication solutions. 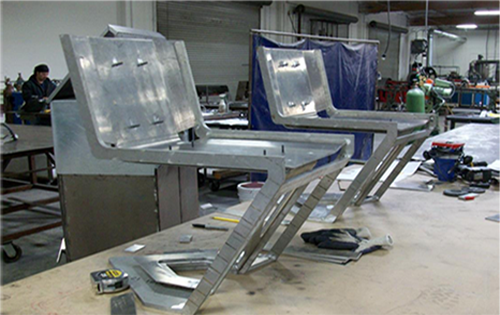 We are known for delivering high-skilled metal support components for set design, movie props, and more. We sucessfully accomplished manufacturing and fabrication projects for major production studios in Los Angeles, California like Sony Entertainment, Warner Brothers. 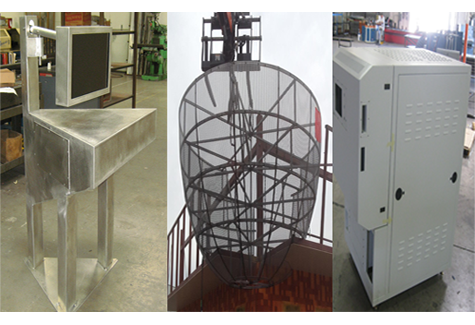 Our skilled team of engineers and fabricators can manufacture anything out of sheet metal, tubes, and flat bar stocks to meet all your entertainment requirements. We engineer custom metal parts and solutions for various industries like automobile, construction, agriculture, and electronics. Our experienced engineers bring their decades of unmatched expertise to provide you with the fastest and efficient solutions for designing your parts. Design details are carefully reviewed using specialized software, then all the team efforts come together for the workflow creation which then handed over to the shop for production. At Alternative Manufacturing & Design, we utilize cutting edge technology to provide services for our hi-tech industry clients. With over 30 years' of combined experience working with various metals and alloys, our techniques offer alternative solutions to most hi-tech industry equipment & component users. From prototyping to production of your hi-tech components, we are here to assist you with all your needs. We provide engineering design and manufacture customized medical support assessories that helps in running the medical facilities smoothly. We have the capabilities and expertise needed to take up more challenging projects in the industry and provide you with competitive products and services. ©Copyright 2016 ALternative Manufacturing & Design, All Rights Reserved.